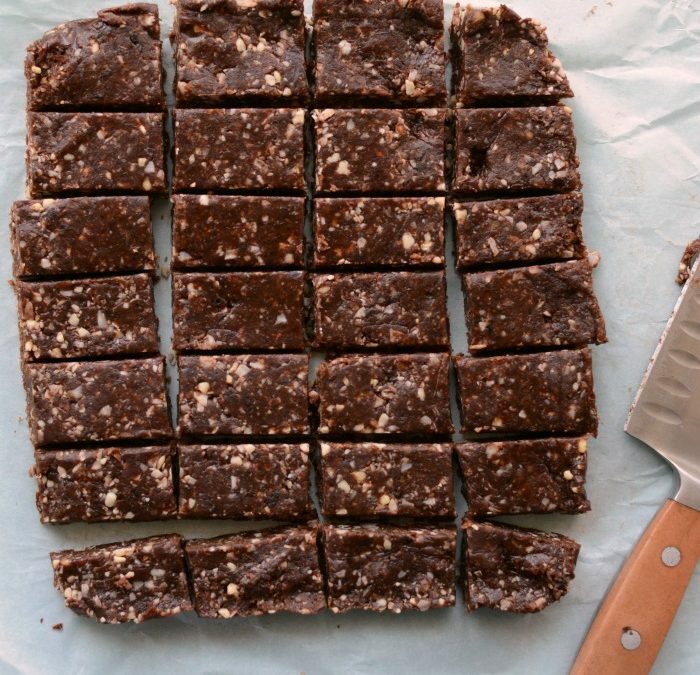 Don’t be fooled into believing date bars are too high in sugar to be healthy. But dates are a very healthy whole food high in fiber, potassium, and phytonutrients. Studies reveal that despite their sugar content, dates have no adverse effect on blood sugar or weight, and beneficial improvements in triglycerides and oxidative stress. In this recipe we’re going to use Medjool dates. Medjool dates are a little more sticky which will hold your bars together better. Note: Some people with severe candida may not be able to tolerate the sugar in dates.